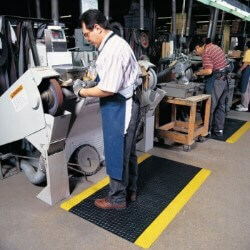 Blade Runner anti-fatigue runner with Dyna-Shield® features a corrugated rib top surface that allows for sure footing and is easily swept clean. 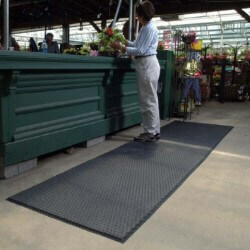 Great for use in medium duty dry areas. 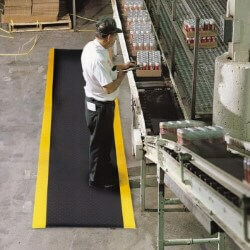 Bubble Sof-Tred™ anti-fatigue runner with Dyna-Shield® features a unique bubble top pattern that maximizes worker comfort. For use in medium duty dry work areas. 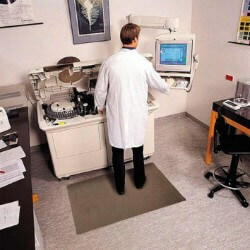 Superior anti-microbial, anti-fatigue mat with non skid diamond textured pattern, Cushion Max offers a cost effective alternative to traditional PVC foam mats. 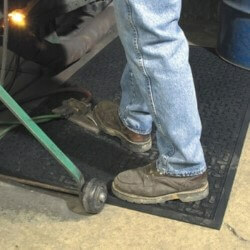 Provides safety and anti fatigue properties for employee comfort and ergonomic benefits. 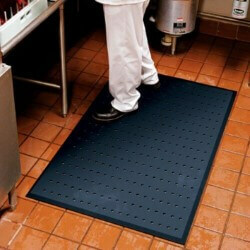 Cushion Trax Anti-Fatigue Mat's durable vinyl diamond-plate design provides non-directional traction. 9/16" thickness. 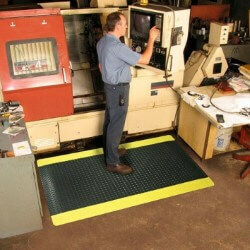 Heavy duty safety mat engineered to meet the toughest requirements of today's industrial applications.